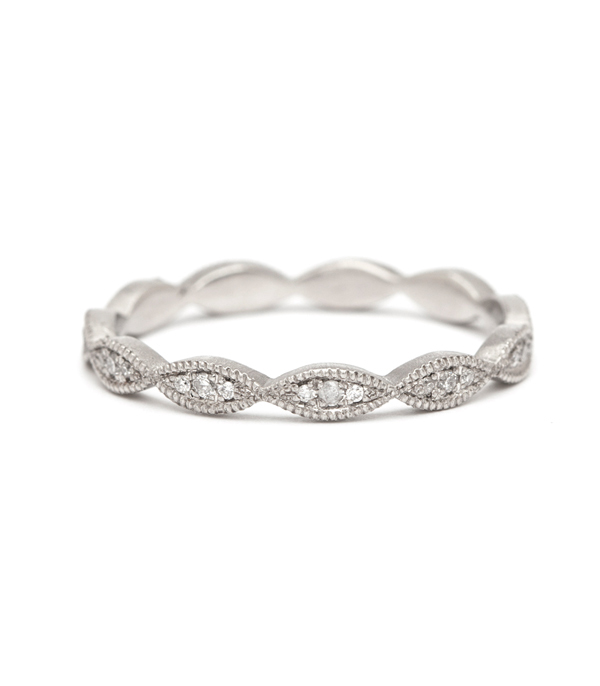 The eternity band, timeless and elegant, gets a touch of vintage charm with marquis shaped leaves set with twinkling diamonds. 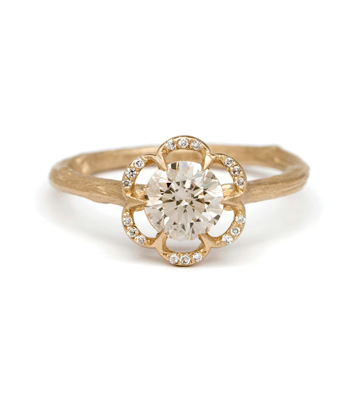 Reminiscent of ancient olive leaf garlands bestowed upon champions, this solid gold stacking ring is the perfect diamond wedding band for your vintage-inspired bridal set. 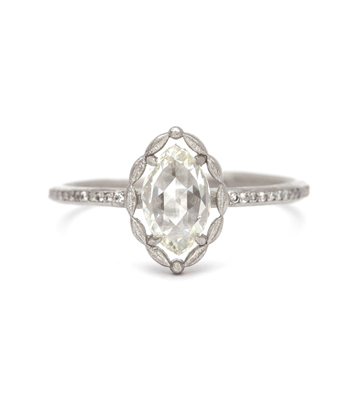 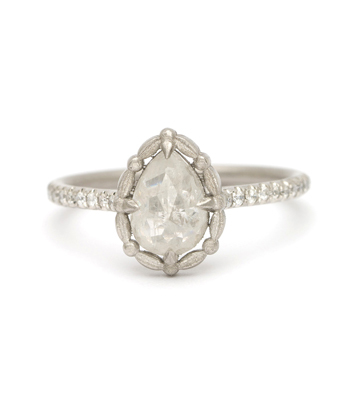 Each elongated marquis-shaped section is set with three sparkling brilliant cut diamonds making this ring a glamorous wedding band choice for the bohemian bride. 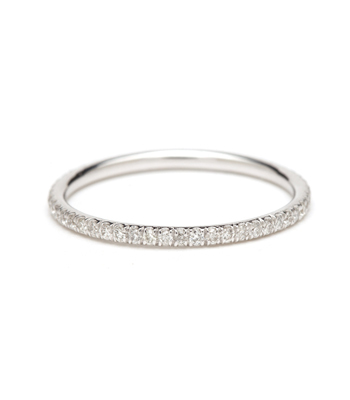 Or wear this band alone for a luxe everyday ring. 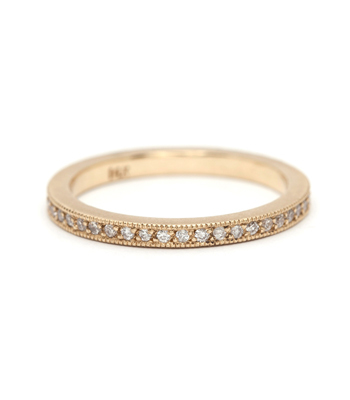 The beauty of this stacking ring is in its simplicity and versatility. 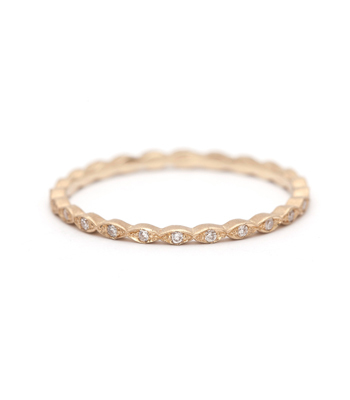 This diamond stacking ring is set with 0.14ctw of sparkling white diamonds and is handcrafted by our artisan jewelers in Los Angeles. 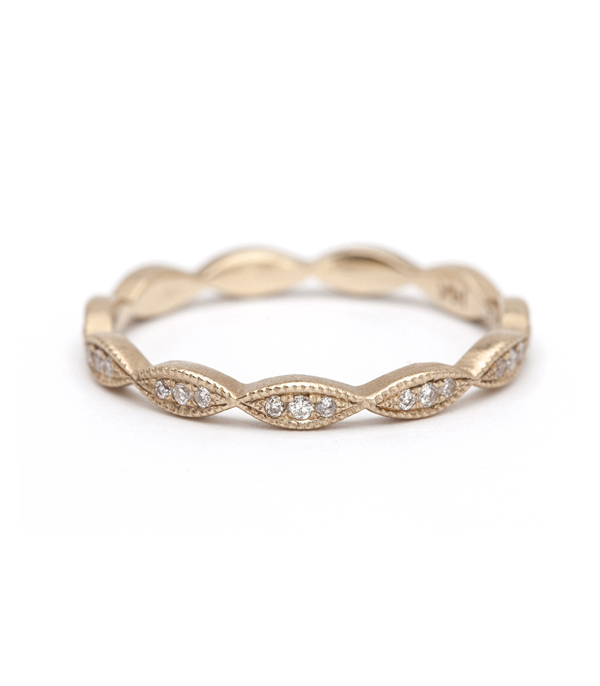 Categories: Alethea, Bohemian Elegance, Eternity Bands, Rings, Stacking Bands, Stacking Rings, Women's Wedding Bands.